Crikey! 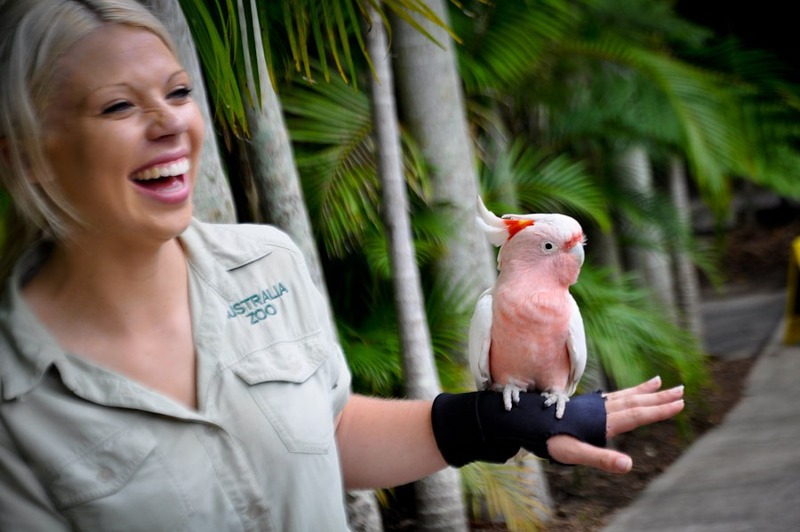 We get to see all the animals from the down under! Australia has heaps of amazing animals living on the big island continent. 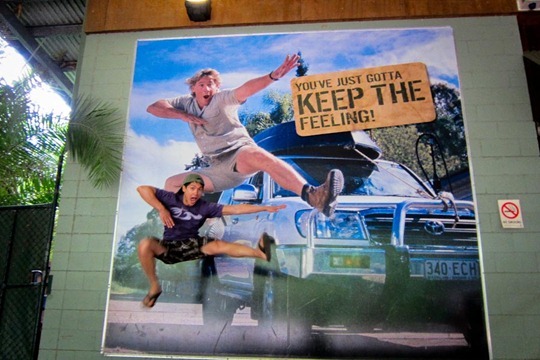 Steve Irwin was one of their biggest ambassadors. 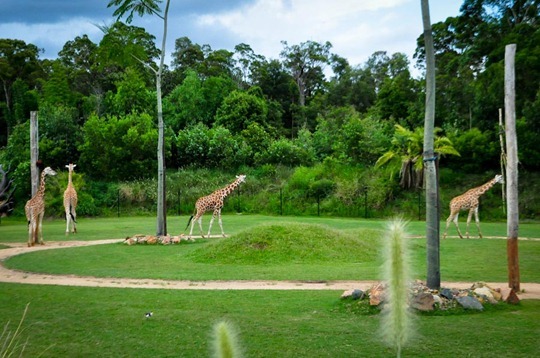 Originally owned and started by his parents, the zoo now belongs to Terry Irwin, his wife, and kids. His family and friends are doing a phenomenal job keeping the Crocodile Hunter’s legacy and passion alive. 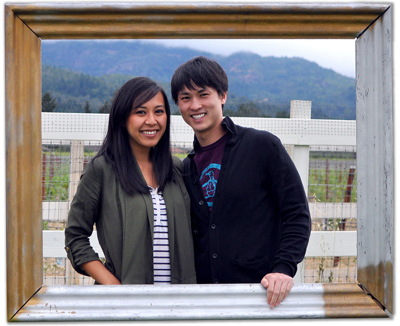 Kieu has always been a huge fan of the Crocodile Hunter and visiting the zoo on this trip to Australia was one of the few things she really wanted to do. 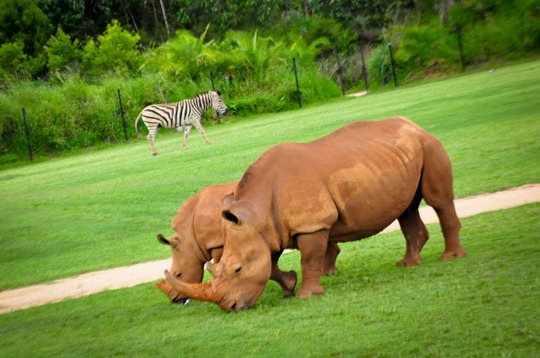 So the two of us along with our friend Michelle rented a car and drove an hour from Brisbane in hopes to see some amazing animals we’d otherwise not get to see back in the States. 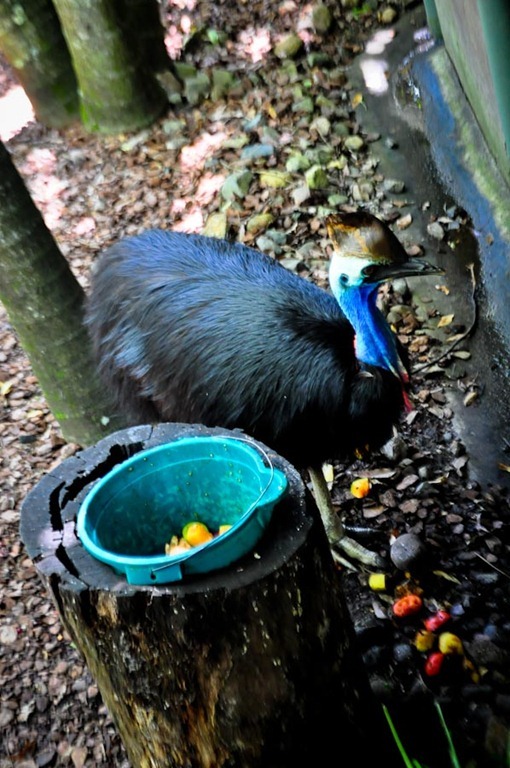 Here’s our trip to the Australia Zoo in photos! 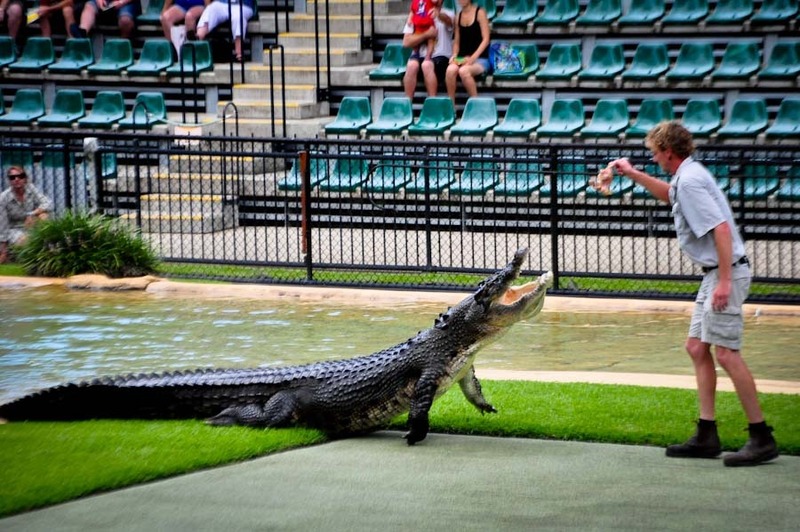 Crikey inside the Crocoseum looks hungry! Staff is really nice and know everything about their animal pals. 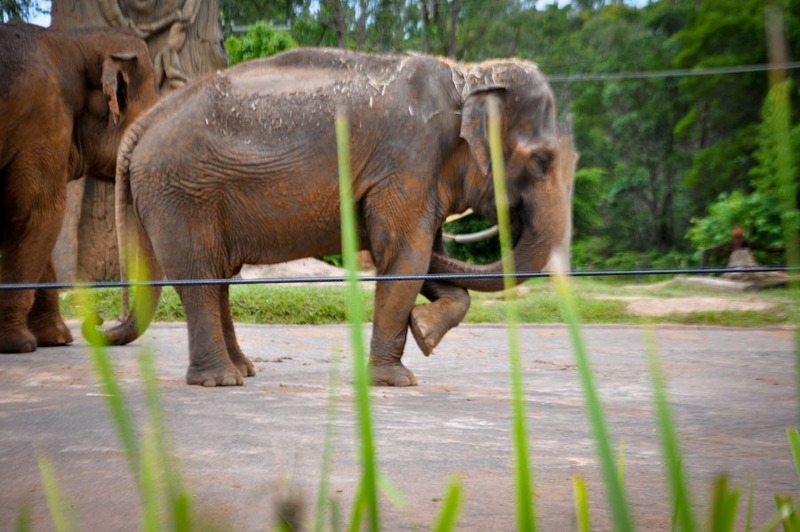 This elephant knows how to strike a pose! 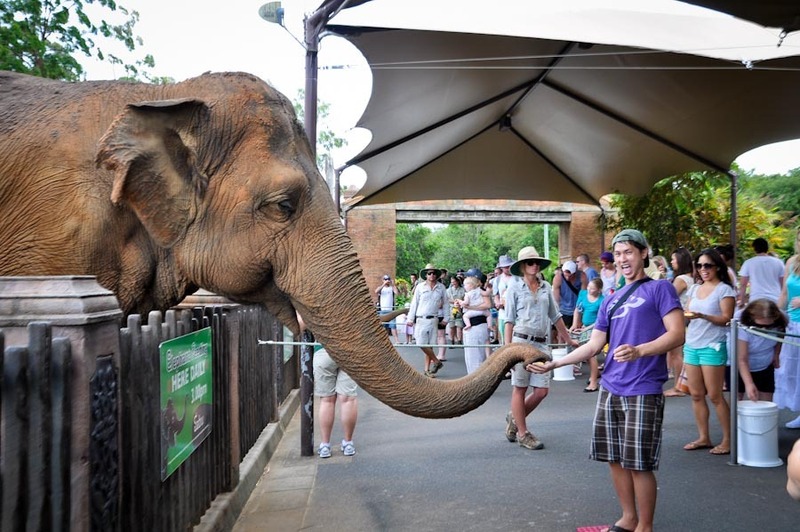 One of our main highlights: Feeding elephants! Fierce Snake – World’s most venomous snake! 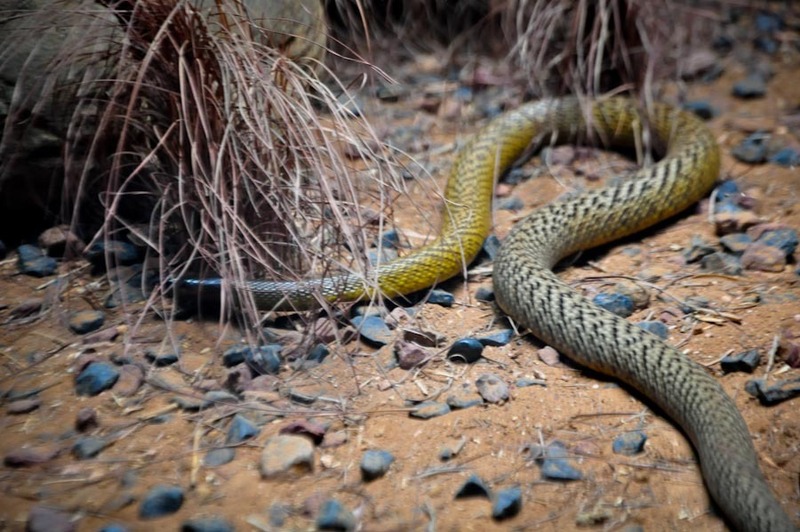 1 drop of its venom can drop 100 men. 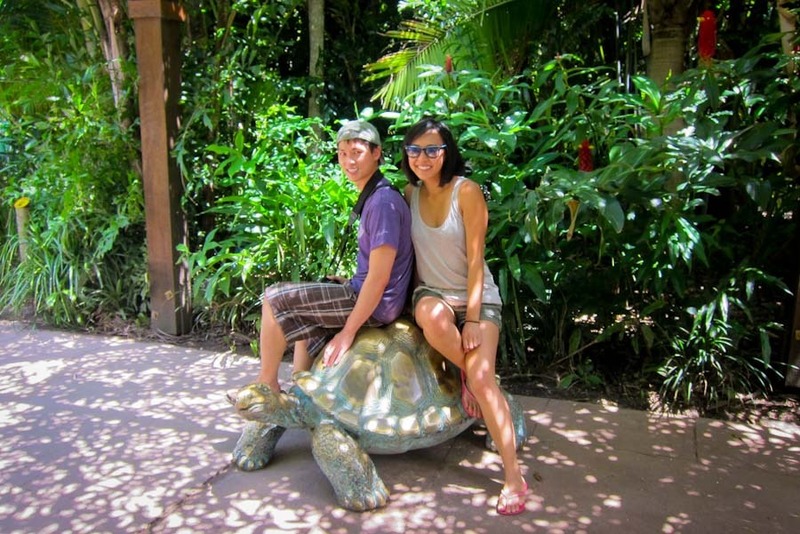 Yup, we rode this tortoise. JK. It’s fake. Here’s the real thing. Aldabra giant tortoise. How can you stop by OZ and not make friends with kangaroos? 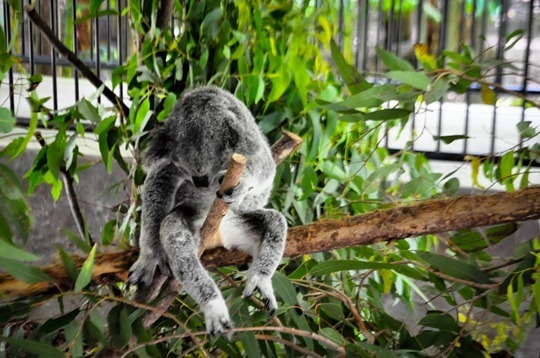 If a koala isn’t sleeping, it’s probably eating. Now there’s an interesting sleeping position. 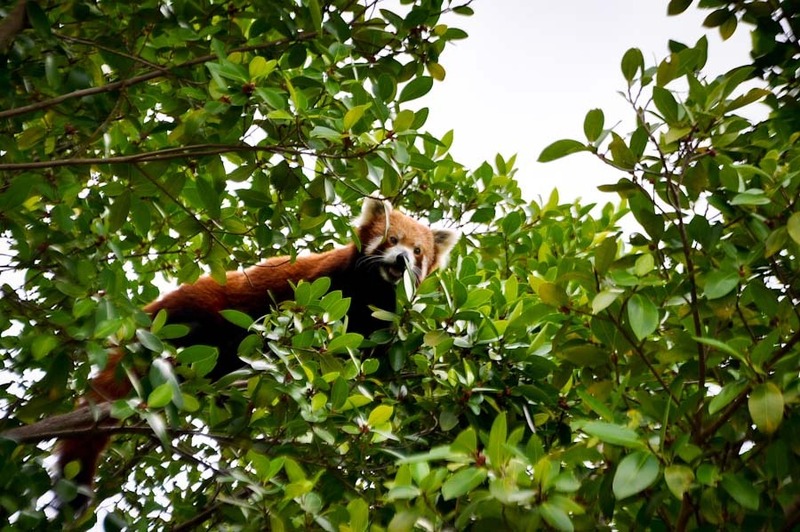 Red panda high up in the trees. 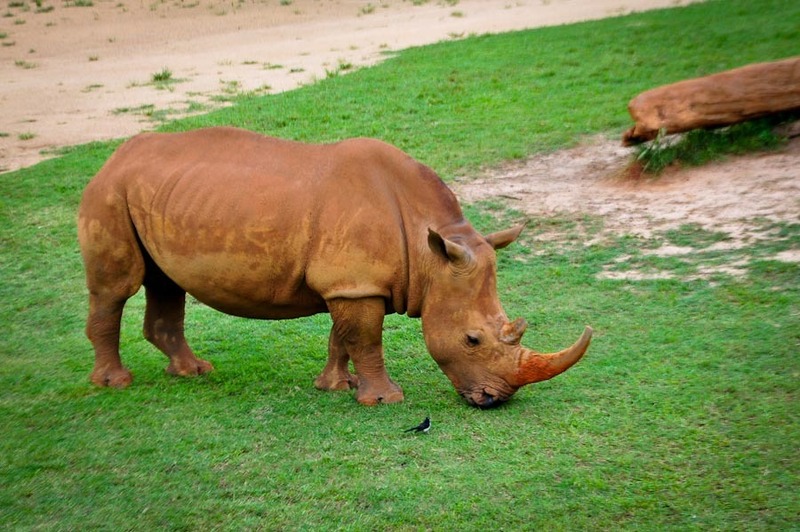 This bird and rhino were buddy buddy like Timon and Pumba. 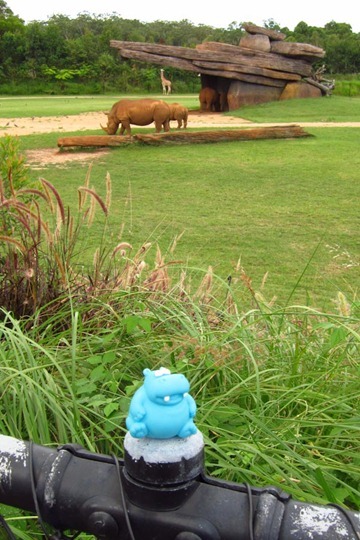 Harold wanted to snap a shot with some of his friends. Zebra spotted in the Africa section of the park. 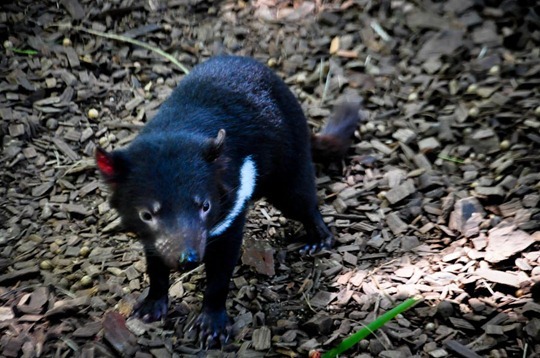 This Tasmanian devil doesn’t really look like the one from Looney Tunes. 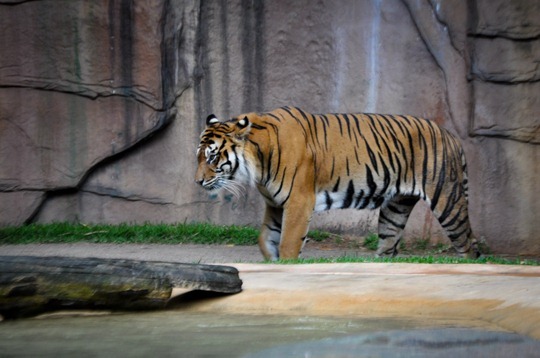 Tiger hanging out in his temple. What I love about the Australia zoo is that it is centered around education. 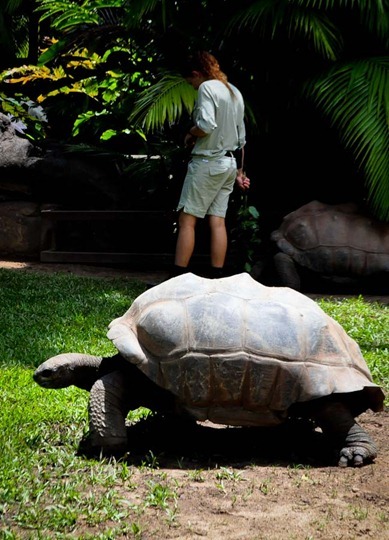 The trainers and keepers are extremely knowledgeable and friendly – they love what they do. You don’t get that caged-up feel, I mean, there is just so much space – acres and acres of land to make the animals as comfortable as they would be if they were in their own natural habitat. Have you visited any zoos in Australia? What are some of your favorite animals? They have so many in Australia, right? We visited like two! That Tasmanian Devil is so cute! We really want to visit this zoo now too while we’re in Australia next April – could you handle any of the animals? How much was the entrance fee for the zoo? He is quite devilishly cute, huh? 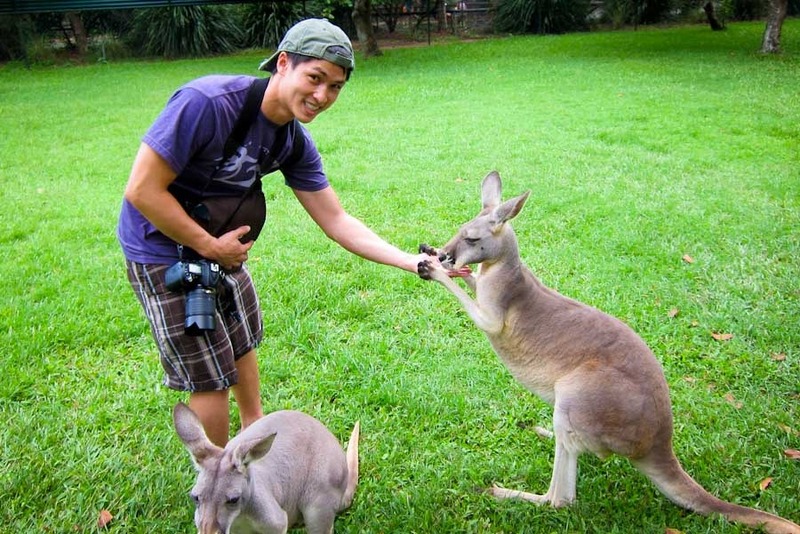 Hrm.. we got to play with the kangaroos – pet and feed them. 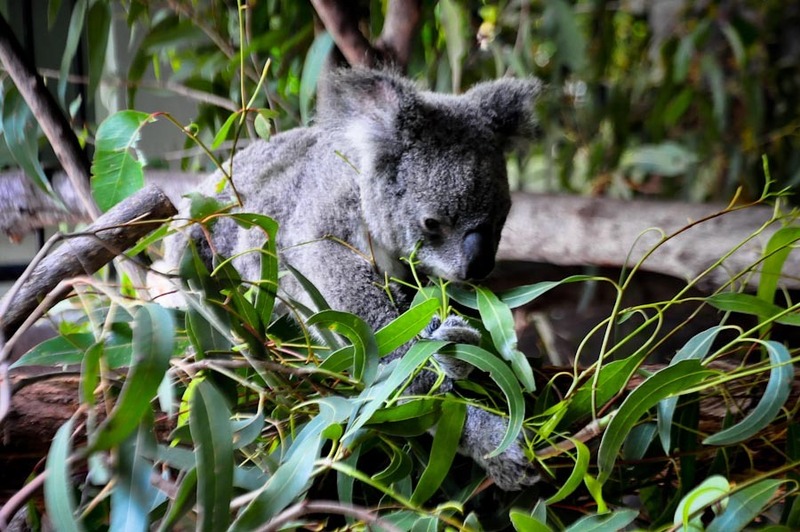 If you want to hold a koala, you should visit the Koala Sanctuary. Not sure on the fee, but I’m sure the website will tell you.